Los Angeles poet LUIS CUAUHTEMOC BERRIOZABAL, the quiet shaman of contemporary poetry, is a man who speaks clearly and precisely and beautifully on the page, a man whose work radiates beauty and wisdom, but who has no need to raise his voice or to indulge in cheap shock effects and theatrics. He works in a few distinct styles, but one of his dominant styles is the lyric meditation on the natural world and on people’s place in that world, often in the persona of the poet with all senses open—-listening to the wind; sensing his oneness with the birds, the insects; calming his inner self to remove the clutter, the noise… Yet remaining an urban man, a physical resident of Los Angeles with his soul in the desert. His close study of Naruda, Cavafy, Hikmet, and other great international poets has led him to find new and interesting techniques and possibilities within the lyric poem form, and DIGGING A GRAVE is a fine new collection in that vein, 12 poems composed especially for KSE, sequenced and formatted to take you into the visionary, spiritually charged poetic world of a contemporary master, LUIS CUAUHTEMOC BERRIOZABAL. 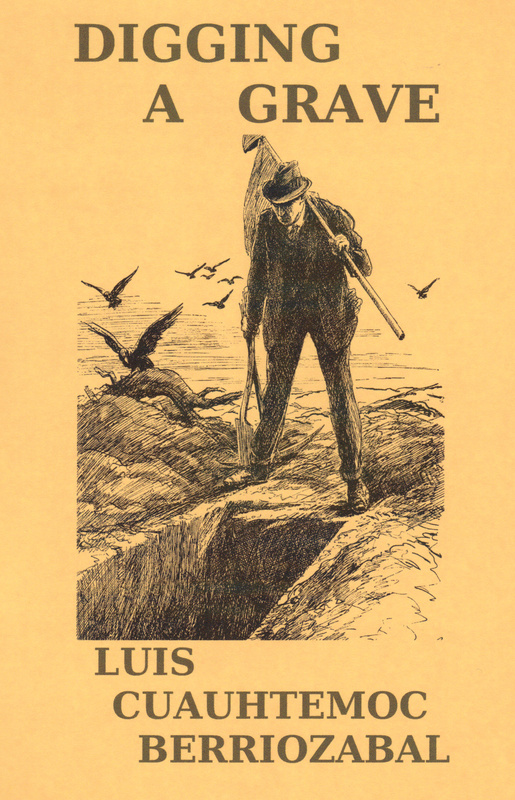 This is Luis’s 7th poetry chapbook for KSE…we certainly hope it will not be his last. He is the kind of artist that KSE was created to champion. And one does not need to be a “poetry person” to appreciate what he does on the page. Like Neruda or Frost or Hughes or Wakoski, ANYONE can enjoy and be moved by Luis’s work. Indeed, I’ve probably distributed his work more here in San Antonio than I have the work of any other KSE poet, including myself who lives here. Don’t miss this beautifully crafted, detail-rich collection…that will take you away and then deposit you back exactly where you are, but with new insight and new sensitivity, and a new way of seeing, of hearing. #169, BILL SHUTE, “Seawall” (sound library series, Volume 57).